Full-Service European Auto Repair Shop in Tacoma - Autobahn Specialists Inc. It's important to trust your fine automobile only to an auto repair shop with factory-trained technicians fully qualified to perform the auto service and maintenance necessary to keep your warranty valid. 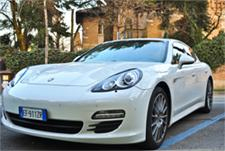 Since 1975, Autobahn Specialists has earned a reputation for quality European auto repair & maintenance services. Our expert auto technicians in Tacoma are factory-trained to perform all Porsche, Land Rover, Mini, Audi, Volvo, Volkswagen, Saab, Mercedes and BMW repair and maintenance services. We use high quality parts and employ only expert auto technicians to ensure your warranty is safe and your driving machine is well cared for. Give us a call at (253) 235-0904 for exceptional European auto service and repair. Autobahn Specialists Inc. is an independent, family owned and operated auto repair shop in Tacoma with no obligation to specific manufacturers or insurance companies. This gives us the freedom to maintain your new car warranty with quality European auto repair services at much lower cost than dealership service departments. We'll save you money while keeping you car in excellent condition with quality auto repair done right the first time. To schedule an evaluation of your fine automobile, call Autobahn Specialists at (253) 235-0904 today! Click for a Money-Saving Auto Service Special! Our experienced auto technicians are specifically trained on new auto service and repair techniques, but have the knowledge and experience to diagnose and repair the classics, as well. From Mercedes repair to BMW service, and all other European auto service needs, we're the local, independent experts you can count on. Call our Tacoma auto shop at (253) 235-0904 today! Does My European Auto Need Brake Repair? What does the Check Engine Light Tell Me? What are the Common Signs of Engine Trouble? How do I know if my European car needs transmission repair? Top Signs Your Car Needs Brake Repair Today! Do I Need to Replace the Alternator? Why are Oil Changes so Important for My European Vehicle? Does My European Car Need Transmission Service? These Signs Say Yes! Is it Time for Clutch Repair? What car problems create strange noises? What does Colorful Exhaust Represent? What is a Dealership Alternative Auto Repair Shop? Why is Routine Auto Maintenance Necessary for European Cars? Do I Need European Vehicle Inspection Before I Buy a Used Car? These 6 signs of trouble mean you need European transmission repair now! Why Should I Use a European Auto Specialist? Why is the Check Engine Light Illuminated?